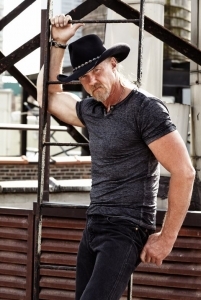 PENDLETON, Oregon – Trace Adkins will be in the spotlight for the Round-Up and Happy Canyon Kick-Off Concert on Sept. 7. Tickets will go on sale March 29, and the country music icon is excited. Happy Canyon Publicity Director Kenzie Hansell has some advice for fans. Hansell isn’t the only one who’s excited. Happy Canyon President Tanner Hawkins said Adkins is a great choice to kick off Round-Up Week. Round-Up President Dave O’Neill is impressed with the singer’s repertoire. “Trace Adkins has a great combination of high-energy crowd pleasers and relatable ballads that will connect with many different folks,” he said. Tickets go on sale Friday, March 29, at 6:30 a.m. and range in price from $46 to $150. They can be purchased at https://www.pendletonroundup.com/.